The Customize Windows > Computer and Internet > Cloud Computing > What is the Difference Between a Web Application and a SaaS Application? While “cloud application” and “web applications” are being used interchangeably, there are differences between the web applications and software as a service (SaaS). 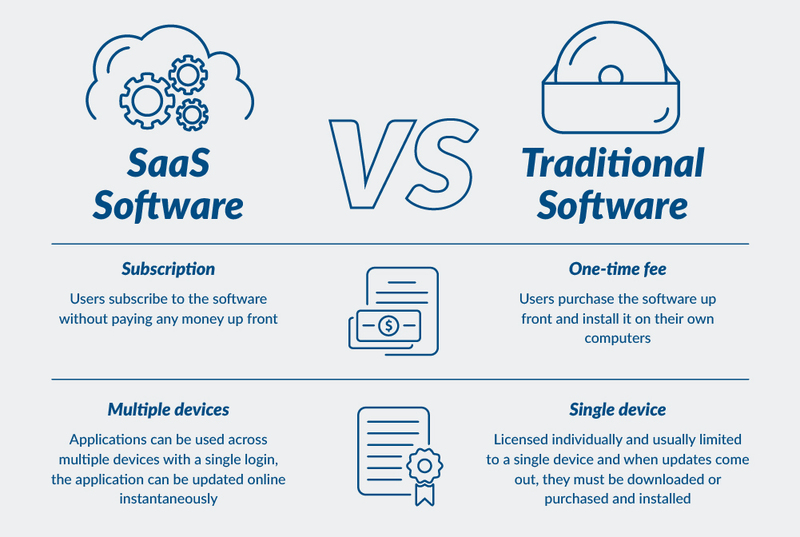 Software as a service (SaaS) is more a software licensing and delivery model and currently part of cloud computing service model. Most of the “real SaaS” are paid professional and/or enterprise grade software, Adobe Photoshop CC is closest example of what a SaaS is. Adobe Photoshop CC is designed to run on computers as thin clients. Always-on internet connection not a criterion to be SaaS. The fundamental difference between the cloud applications and the web applications is hosting. Cloud applications are designed to be hosted by software as a service (SaaS) or platform as a service (PaaS) or infrastructure as a service (IaaS) with many technical challenges involved in applications development. One of which is multi-tenancy. Similarities and differences exist between multi-tenancy and isolated tenancy applications as both has several common layers such as database, web user interface. But a multi-tenant application has distinguished service pattern as a result of difference in technical implementation. Isolated tenancy applications have authentication and access control for the single-tenant users. A tenant management console required for the multi- tenancy applications (which can be understood thinking of Adobe CC, IBM Cloud accounts). NIST defines Software as a Service (SaaS) as the capability provided to the consumer is to use the provider’s applications running on a cloud infrastructure. The applications are accessible from various client devices through either a thin client interface, such as a web browser, or a program interface. Partially the definitions are been distorted for marketing purpose and marked service as SaaS and partially the consumers confused the true goal of SaaS. One of the essential attributes of SaaS model is multitenancy. Multi-tenancy enables the users sharing of resources and costs. However, not all SaaS are multitenant. Most of the web applications such as online banking are limited by scalability and availability. Vertical SaaS answers the needs of a specific industry like healthcare, finance. Horizontal SaaS answers the need of a software category like marketing, developer tools. SaaS applications are mostly delivered via the Web, but this is not mandatory and that point makes SaaS completely different from the other two cloud computing service models, i.e. PaaS and IaaS. SaaS is typically accessed by users using a thin client, and has become a common delivery model for many business applications, including office software, management software, CAD software, development software, customer relationship management (CRM), Management Information Systems (MIS), enterprise resource planning (ERP), human resource management (HRM), Geographic Information Systems (GIS) and so on. It is agreeable that SaaS is a vague terminology and thereby the licensing and style of delivery part taken as points to count a service as SaaS. This Article Has Been Shared 3483 Times! Articles Related to What is the Difference Between a Web Application and a SaaS Application? Title: What is the Difference Between a Web Application and a SaaS Application? Cite this article as: Abhishek Ghosh, "What is the Difference Between a Web Application and a SaaS Application?," in The Customize Windows, April 2, 2019, April 18, 2019, https://thecustomizewindows.com/2019/04/what-is-the-difference-between-a-web-application-and-a-saas-application/.